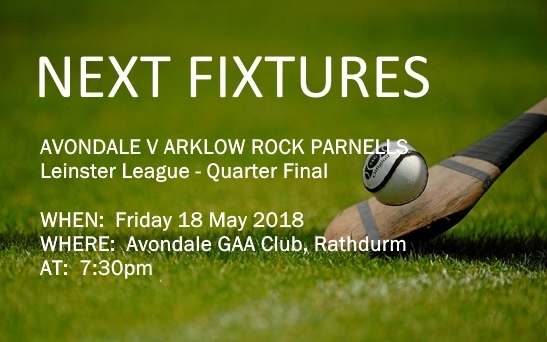 This Friday, 18th May, we have our Senior team playing in the Quarter Final of the Leinster Hurling League against in Rathdrum against Avondale. come and support the Rocks. Throw in is at 7.30 p.m.
Mary Hickey is coming back! 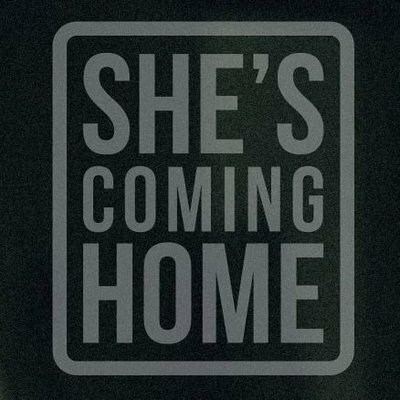 Saturday 2pm – She is coming home! Arklow’s very own MARY HICKEY is returning to the town this coming Saturday. After 104 days and 1500 miles and running in the the worst weather she is finally going to be back in Arklow. The 65 year old veteran marathon runner, is completing her Lap of the Map in aid of the RNLI. She has raised over €35,000 for these brave men and women who risk their lives in all weather. All clubs are asked to take part in the welcome on Saturday so we are asking our members and parents to put on their Rocks colours and gather as a group to be part of home-coming! Details of times and gathering venue will be issued as soon as they are available from the organisers. ARP is proud to be associated with the RNLI and with the amazing Mary Hickey who is truly a wonderful example to our young people! 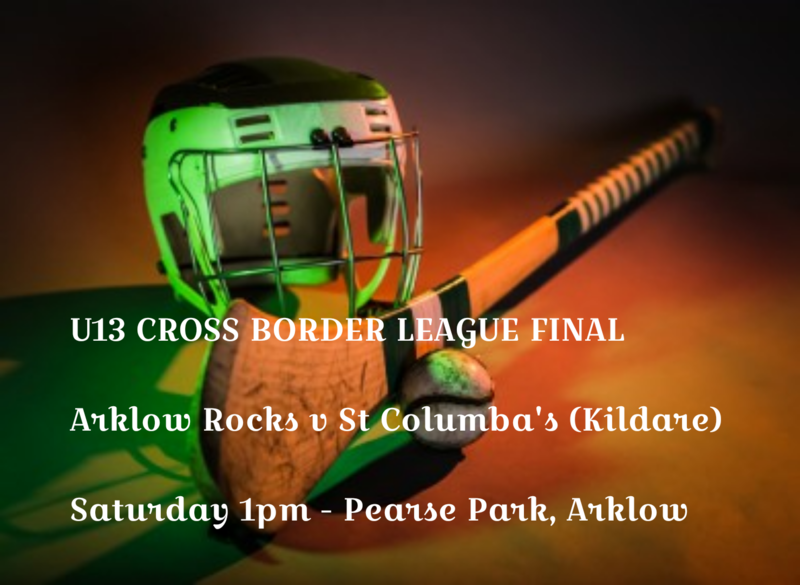 Come and support Jason Redmond and our young hurlers tomorrow in their final. Shaping up to be a great game. Good luck and y’up the Rocks! 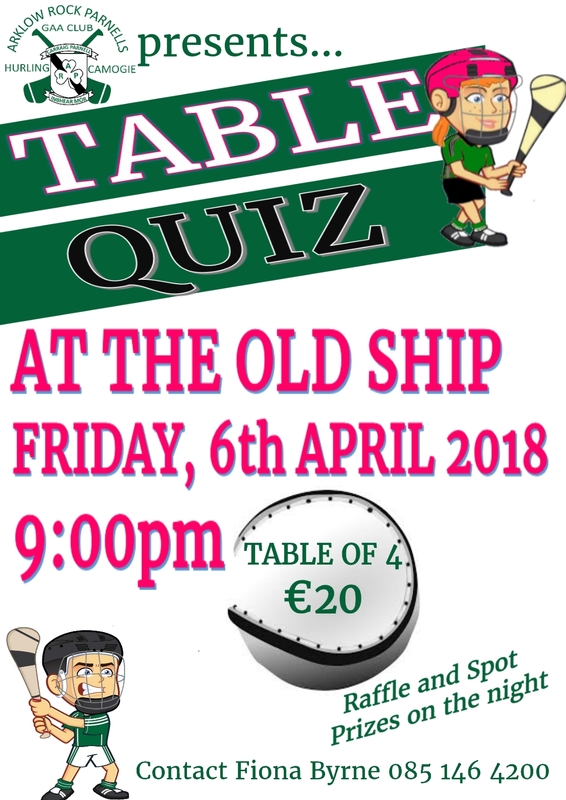 On Friday 6th April the Rocks will be having a fundraising Table Quiz at the Old Ship. 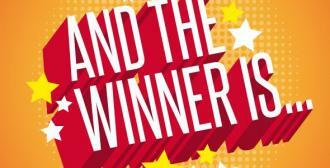 It promises to be a fun evening with prizes on the night raising the clubs much needed finances. All our welcome, the more the merrier. 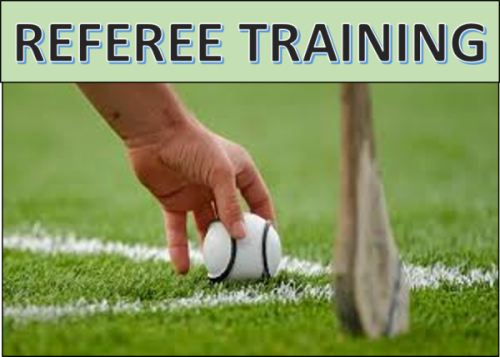 We are looking for Rocks representative(s) to attend the REFEREE’s COURSE at Ballinakill on Tuesday 13th March @ 8-10pm. With 48 Under-11 teams in action on Wednesday nights in 2018 along with the Under-15 programme, Wicklow will not have enough referees to complete our fixtures. If they do not have an official referee it is the responsibility of the home club to provide the referee but this must be an official referee. 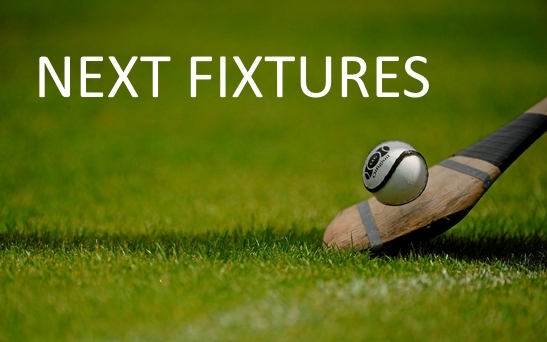 This is why it is important that every club sends sends a representative in Hurling Or Football to ensure our games take place at Under-11 for 2018. Our Intermediate team get their season under way next week in the leinster senior league against Gracefield of Offaly AWAY . 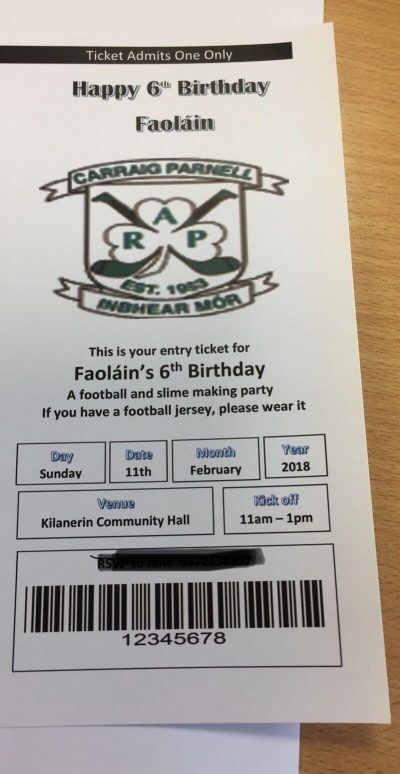 Anybody interested in travelling to support the lads and enjoy a bit of bus banter please let Tom Byrne know or use the contact page. A big happy birthday to one of our young hurlers, Faoláin (or Fred as he is also known on the field.) 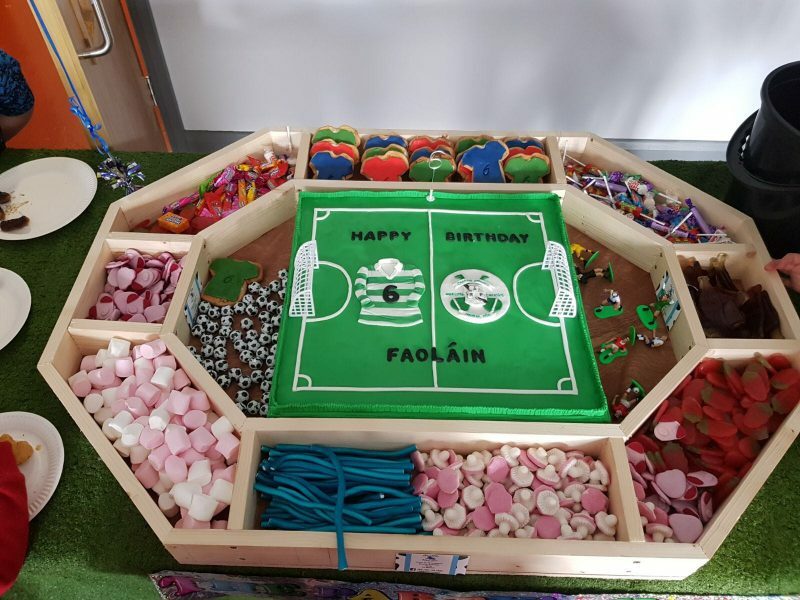 He was 6 last week and celebrated in the best way with an Arklow Rocks party and cake! Thank you Little Blue Cow cakes and roll on 2018 season.